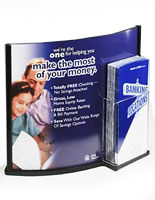 Literature displays that hold folded pamphlets are one thing. 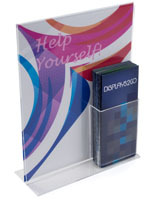 Brochure holders paired with sign frames take it to a whole other level. 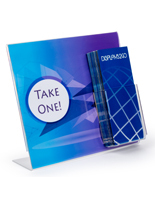 Offering takeaway information with a call to action improves your marketing game considerably while providing a more professional presentation. 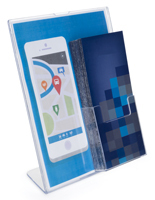 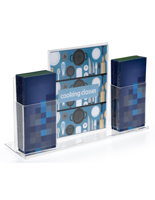 These countertop brochure holders feature acrylic plastic construction in a handful of styles that are small enough to fit on desks, shelves, or tables. 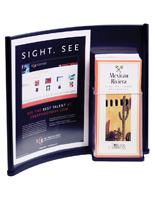 Each model comes with a 4" pocket designed to hold a stack of folded pamphlets or flyers. 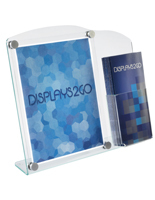 Prices range from $5 to $50 so we are confident there is a style you will be happy to use in your place of business. 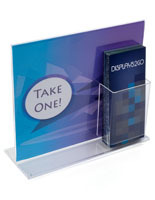 These brochure holders with sign frames support standard letter size (8.5" x 11") or 11" x 14" formats. 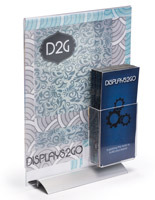 Two types of displays are offered, with the pocket covering a portion of your sign or offset to the side. 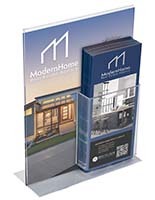 The models with covered pockets will require some design work in order to make sure the important parts remain visible once brochures are added. 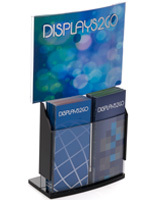 Of course, the signs with offset pockets will remain 100% visible. 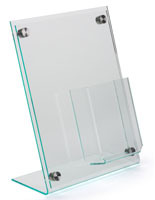 Choose from flat sign holders or opt for fancier models with concave or convex designs. 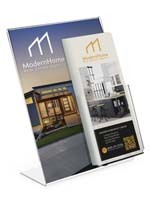 The thing to remember about these marketing tools is their flexibility. 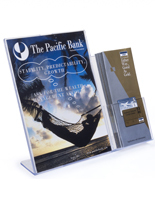 Printed signs and inserts can be changed or updated to display new offerings, promotions, or events. 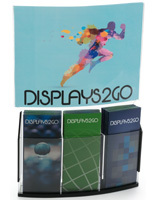 Let these hardworking countertop brochure displays boost your business with maximum impact!